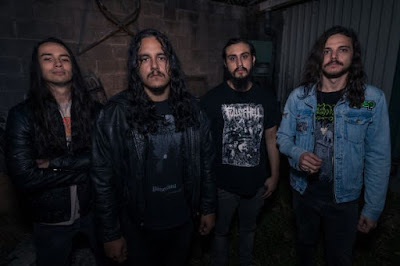 The Sludgelord: ALBUM REVIEW: Cardinal's Folly - "Our Cult Continues"
ALBUM REVIEW: Cardinal's Folly - "Our Cult Continues"
Cardinal’s Folly strikes me as a band who will garnish extreme reactions from listeners. People will either be instantly turned off with the sluggish riffs and Mikko’s oddball singing, or they will instantly proclaim them as their new favorite band. They are definitely a highly recommended group for when you find yourself at your most dejected and misanthropic moments. Cardinal's Folly refer to themselves as a “Finnish doom metal cult with dark desires & heavy metal incantations,” who have been “laughing at stoner/retro trends since 2004.” A bold statement like that can either lead you to believe this band is the real deal, or a group of schmucks who take themselves way too seriously. After listening to their sophomore album, “Our Cult Continues,” I’ve come to the conclusion they’re simply three friends who take themselves just seriously enough to create some incredibly dark music with little to no regards to how it’s perceived by others. 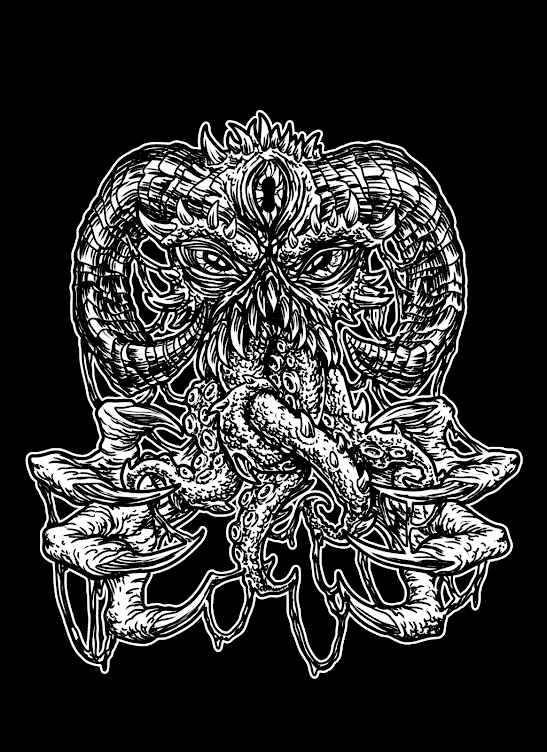 Their music is abrasive, discordant, shoddily recorded, and is sure to only be accepted by outsiders with an inclination towards darkness, destruction, and despair. In other words, they are truly a cult. The record begins with the ultra creepy, “Chant of Shadows,” a slow build featuring a sample from the 1971 horror film, “The Blood on Satan’s Claws.” A young girl repeats, “Behemoth, spirit of the dark, take thou my blood, my flesh, my skin and walk,” as the band chants behind her voice. This is probably one of the most effective horror intros a band has ever incorporated onto an album. After the spine-tingling crescendo and slow fade of the chant, the band kicks into the track, “Morbid Glory,” which begins with an incredibly dirty bass line. The new-wavish drumbeat kicks in with an atonal guitar riff, almost giving the song a Joy Division feel, made even more so with singer Mikko Kääriäinen’s dismally low register. If Ian Curtis had survived long enough for the rise of doom and black metal, Joy Division may have sounded more like Cardinal's Folly than New Order, (perhaps that’s a stretch, but Mikko does sound an awful lot like Curtis, and that’s not a bad thing.) Swedish hype machines, Ghost and In Solitude, tend to have these similar new-wavey quirks, all in an attempt to make their dark tunes “catchy” and appealing to a wider audience. However, with Cardinal’s Folly it’s all too easy to see that radio-friendliness and “mass appeal” is the absolute least of their concerns. Truth be told, this is the kind of music that separates casual listeners from lifers. As the album lurches on, the songs flow from varying degrees of heaviness, gothicness, and occasional touches of classic black metal “airiness.” Still, this is not a black metal album by any means. Its doom metal, but you can’t exactly put a finger on the usual doom masters who influence the bands of today. 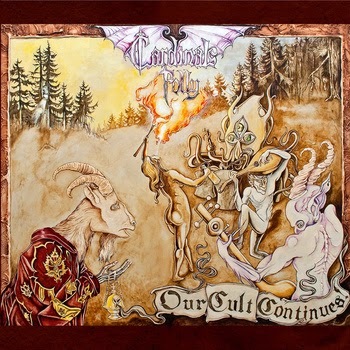 Sure, if you listen to “Our Cult Continues,” you’ll probably hear some underlying Cathedral and Electric Wizard fandom, but Cardinal's Folly isn’t going for that. At times their brash playing even hint at limited technical ability, but it’s definitely the kind of thing that lends itself to greater artistry, the same situation that made a lot of classic punk bands great. Not that Cardinal’s Folly aren’t fine players, because they are. All of the tracks on “Our Cult Continues” are perfectly well played in that each one has its own layer of darkness while individually contributing to the overall madness of the record.